Check out our newest audiobook releases! You can view our complete audiobook catalogue over on our website. 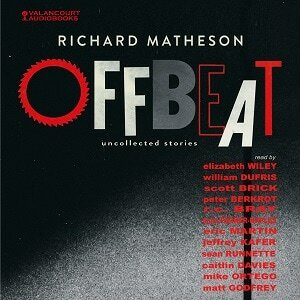 In the aptly titled Offbeat, Richard Matheson, a modern master of strange fiction, offers thirteen excursions into the unsettling and bizarre. In these stories you will encounter a major league pitcher with a horrific secret for his astonishing success; an ordinary man who wakes to find himself in a silent, empty world; a death row prisoner with an extraordinary explanation for his innocence; and a novelist whose fictional creations transcend the printed page. In The Late Breakfasters, young Griselda de Reptonville is invited by Mrs. Hatch to a house party at her country estate, Beams (which, incidentally, is haunted). There, amidst an array of eccentric characters and bizarre happenings, she will meet the love of her life, Louise. But when their short-lived relationship is cruelly cut short, Griselda must embark on a quest to recapture the happiness she has lost. One of the great pulp writers, Fredric Brown (1906-1972) combined a flair for the horrific, a quirky sense of humor, and a wild imagination, and published many classic novels in the mystery and science fiction genres. But he was also a master of the "short-short story", tales only a page or two in length, but hard-hitting and with a wicked twist at the end. 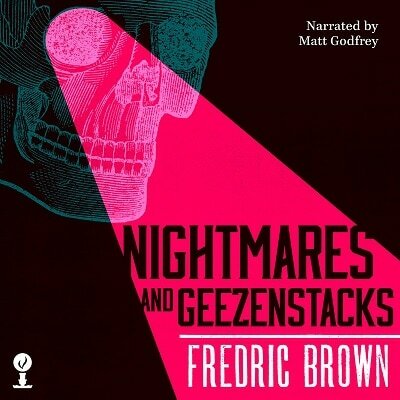 Nightmares and Geezenstacks (1961) collects 47 short gems by Brown, ranging from science fiction to noir crime to horror, including the chilling and unforgettable "The Geezenstacks". Long unobtainable, Brown's classic collection is available for the first time in almost 40 years and is sure to please both longtime fans and those who are discovering this brilliant writer for the first time.